One of Japan’s more intriguing historic figure is the famous spiritualist, or Onmyo-ji, Abe no Seimei. In addition to the unusual nature of his work, his life was also quite mysterious. This mystery has in turn led to a constant recurring fascination with him and his life ranging from TV series, movies and more. Of course, all this popularity makes his own shrine a popular spot. 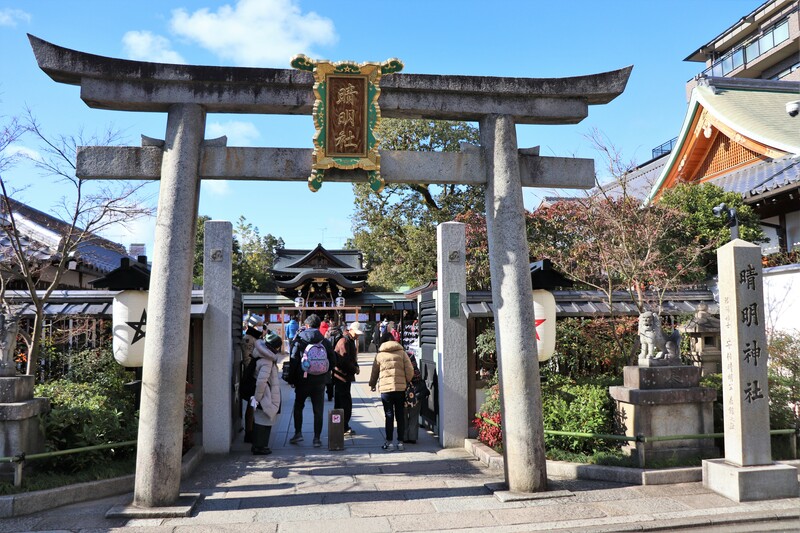 Though forgotten for centuries Kyoto’s Seimei Shrine is one of the most popular shrine in Kyoto. Roughly 1,000 years ago Abe no Seimei suddenly appeared and became instantly famous. His sudden appearance however, left many rumors and suspicions about his origins. If you’s like to hear the legends and stories of the life of Abe no Semei, click the link below. 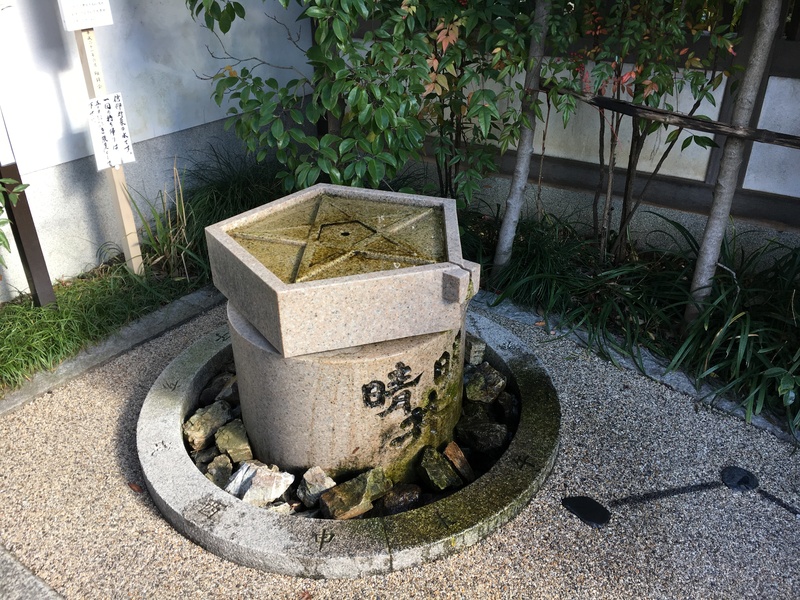 The location of Seimei Shrine was once the actual home of Abe no Seimei himself. 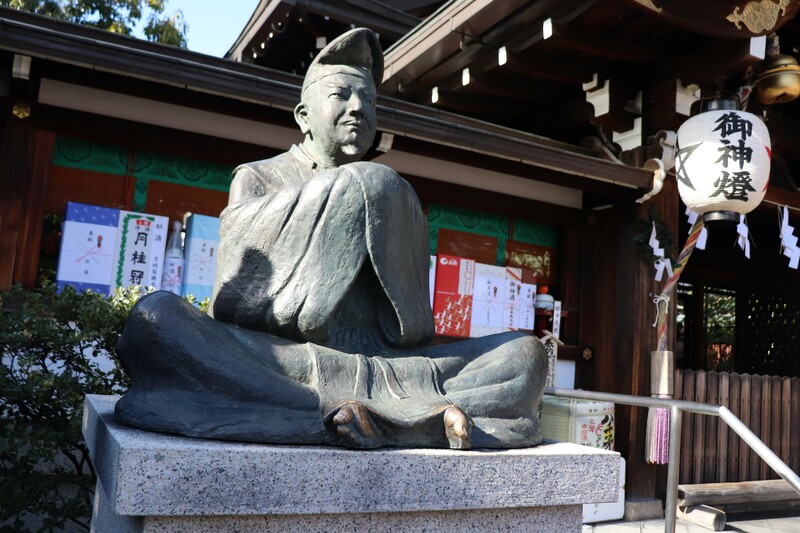 After Seimei passed away in 1007, Emperor Ichijo created the shrine to honor his great feats as a spiritualist. Unfortunately, everyone forgot about the shrine and was ignored it until 1928. 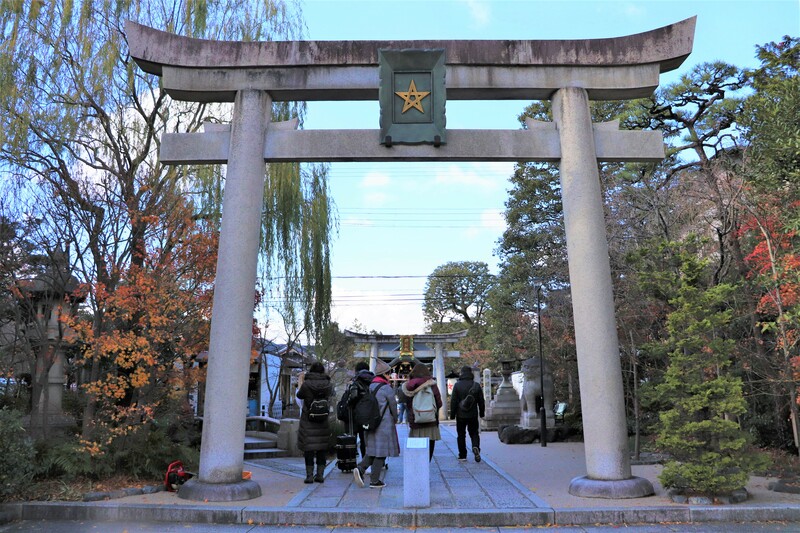 To get to Seimei Shrine, take bus #9 from Kyoto Statin or the #12 from Kawaramachi and Sanjo Station. Get off at the Seimei Jinjya/ Ichijo Modoribashi bus stop. Also, the Horikawa-Imdegawa bus stop is five minutes away from the shrine on foot. Service includes bus numbers 51, 59, 201 and 203. 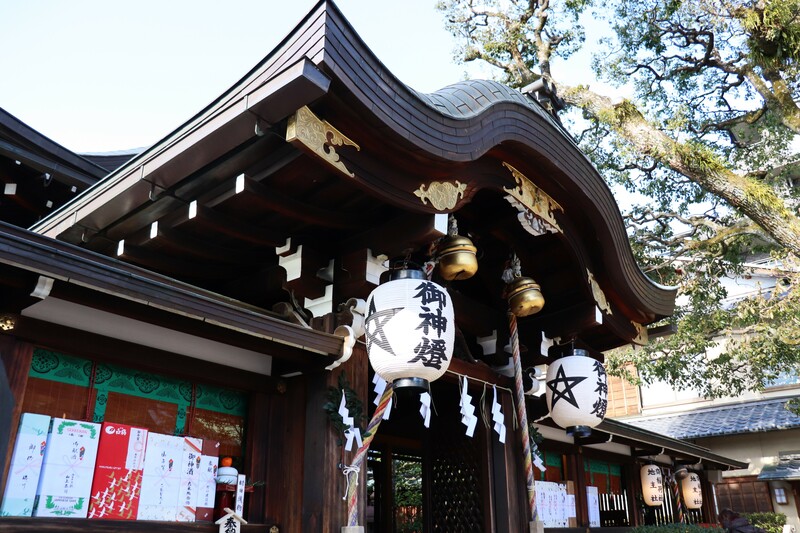 The entrance of Seimei Shrine’s is on Horikawa Street and is quite large gate, so you won’t miss it. Despite the large entrance, the shrine grounds are not so big. 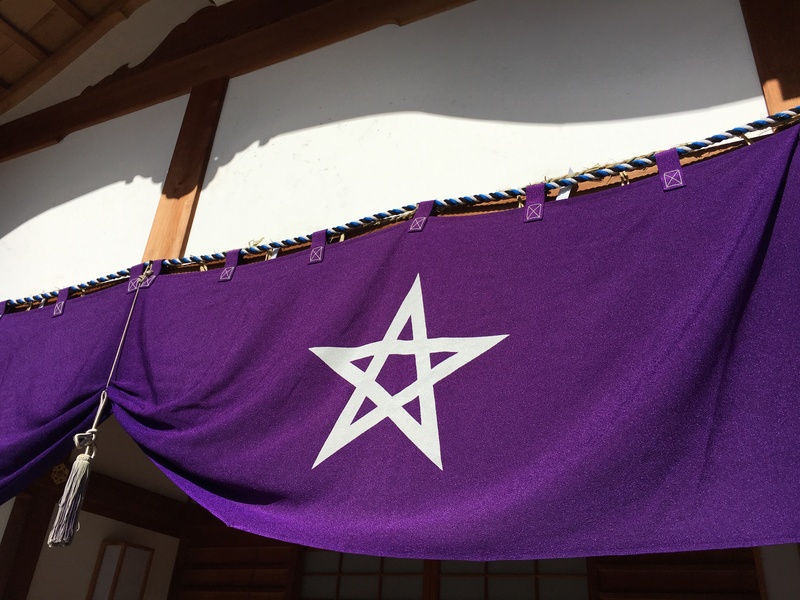 Shrine entrance: Abe no Seimei’s mark, a star known as the gobosei [五芒星], is all over the shrine grounds. The shrine is particularity crowded as of late because in no small part to the figure skater Yuzuru Hanyu, who once dressed as Abe no Seimie for one of his skating routines. Lucky peach: rub it to rid yourself of bad luck. The water from this well is drinkable! Once you pass through the torii, you will see a small bridge and a curious little statue next to it. This small bridge is a small version Ichijo-modoribashi Bridge, and ancient bridge just across the street. 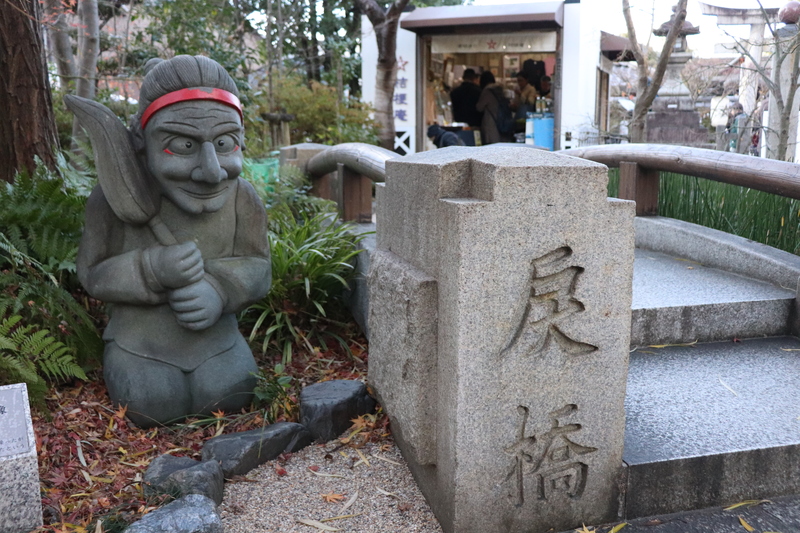 Next to the bridge is a statue one Seimei’s supernatural spirit helpers, a shikigami [式神]. Shikigami are small spirits thatAbe no Seimei employed to do any number of things, from delivering message, making tea, doing laundry etc…According to folklore, he hid his invisible shikigami under Ichijo-modoribashi Bridge. 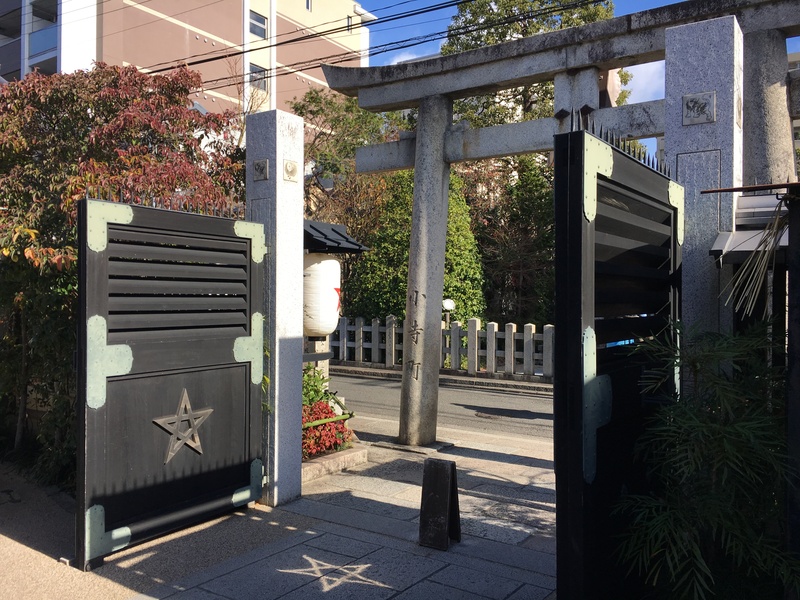 Allegedly, the shikigami open the gates of Seimei’s house—therefore making them open seemingly automatically. Ichijo Modori bashi: The Horikawa River [堀川] flows under the bridge. The original Ichijo Modoribashi Bridge is just three minutes to the south from the Seimei Shrine. Of course the Ichijo Modoribashi Bridge is more modern now, but it has occupied the same spot for 1,000 years. 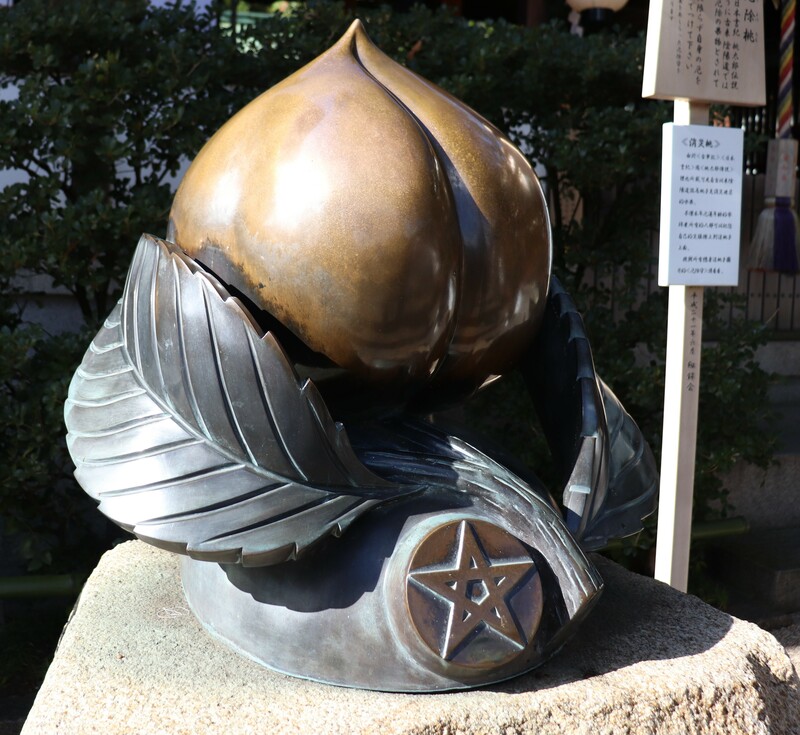 An interesting fact about Ichijo Modori bashi is that it is one of the most cursed area in Kyoto. In particular, because this bridge sat on the edge of the capital, people believed this bridge connects this world and the world of the deceased world. 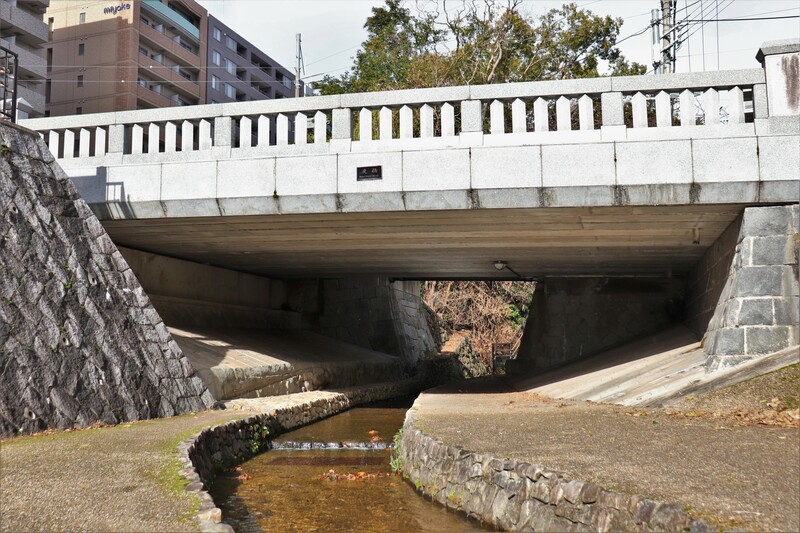 ・Watanabe no Tsuna fought an ogre and left the ogre’s arm and left it on this bridge. Because the word “modoru” [戻る](to return) is apart of the bridge’s name people used to believe it was ominous for brides and newly weds to cross the bridge because they might “return” back home or divorce. 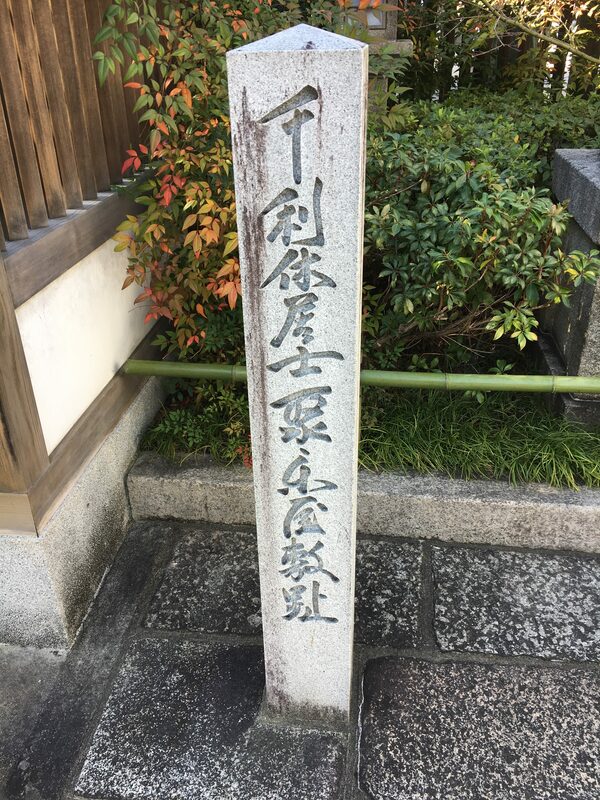 Stone monument of tea master Sen no Rikyu’s residence near Seimei Shrine.